Home » Hookah Guides » Washed VS Unwashed Shisha: What is The Difference? There is a wide range of shisha brands in the hookah market. Knowing the features and quality is vital for all the hookah fanatics. Whether you have experience in smoking or not at all, you must be aware and not pick the wrong one. Therefore to avoid confusions, I’ve boiled down everything you want to know about the shisha that suits you the best. Difference Between Washed and Unwashed Hookah Tobacco? 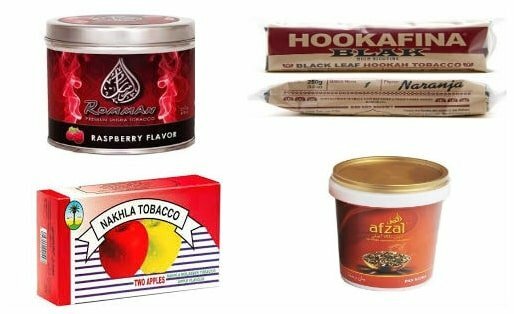 Romman, Nakhla, Afzal, Hookah Fina, are just some of the unwashed shisha brands. Unwashed shisha, as the name indicates is basically unprocessed tobacco. All the brands under this category constitute 0.5% of nicotine. This nicotine content is as much as 10 times the amount in washed ones. The high level of nicotine provides a strong flavor profile and dizzy feeling. Therefore this shisha is highly recommended to seasoned hookah smokers only. If consumed by someone just starting out, there will be side effects like headaches or even nausea. Even in the case of experienced smokers, overconsuming this shisha may cause vomiting. The amount of nicotine varies from brand to brand. Seasoned smokers really enjoy the depth of its earthy flavor along with the punch of other added flavors. Additionally, it assures the longevity of the flavors and big clouds during the sessions. Nicotine imparts a pungent and slightly bitter taste which clashes with the added flavors. However, it never disappoints the smokers when it comes to strong buzz and detailed taste of tobacco. The technique used to produce this tobacco involves an age-old tradition of the Middle East. 1. Firstly, the tobacco leaf is hand cut into fine strips and then mixed with dark molasses. 2. Then the blend is directly put under the pressurized heat. 3. After the molasses beautifully sugarcoats the finely graded leaf, the flavor is added. 4. When the flavor dissolves perfectly in the mixture, juicy shisha is all set for the use. NOTE: The unwashed shisha has alkaloids which are bitter organic bases (as caffeine) containing a nitrogen atom. Therefore excess of intake may cause vomiting or even diarrhea. Washed shisha is something you can smoke every day. Unlike the unwashed shisha, this one can be enjoyed by the newbies as well as the seasoned smokers. This type of shisha comes with a wide array of flavors and offers the beginners to enjoy the delicious smoking experience. Washed shisha delivers less buzz but dizzy-free smoking sessions. Generally, most of the branded washed shisha comes with approximately 0.05% nicotine content. However, you can also prepare your own version of shisha at home. You will come across the step by step preparation method in “Why shisha is washed?” in the Q & A section of this article. Think of a tea bag when poured into a cup of hot water. You can see the color seeping into the water along with a nice aroma. The same thing applies while washing tobacco. However, in washed hookah tobacco, we get rid of the excess of flavor, color, and nicotine. This process is done to achieve a mild version of hookah shisha, that without a strong buzz. Furthermore, you can control the amount of nicotine by varying the number of washing and rinsing process accordingly. You can also let the tobacco soak into the water for a longer time. While washing, you can consider keeping the level of nicotine anywhere from 0.05% to 0.5%. Nicotine is water soluble. Thus, washed shisha tobacco is prepared simply by soaking and rinsing the tobacco leaf in cold water. This reduces the level of nicotine and earthy tobacco flavor. Most often, boiling is also preferred to get rid of harshness. Moreover, you can also use vinegar which can dissolve and neutralize the effect of nicotine. However, this method of preparing shisha is not used quite often. Washing to an extent that leaves the water transparent makes no sense. Therefore, there must be a measurable wash to retain a significant amount of aroma and nicotine. Now as you know the difference between washed and unwashed shisha, feel free to check out different brands. Whether you’re looking for Premium quality, traditional brands, modern brands, and even century-old brands, all are also listed below. Each one of them carries characteristic flavor that includes mint, spices, fruits or cream and promises to kick in your taste buds. NOTE: Al Basha is considered as partially washed shisha. Here, washed tobacco is mixed gently with a little amount of unwashed shisha to retain a certain amount of nicotine. The composition of nicotine ranges from 0.5% to 0.05% depending upon the ratio of the mixture. Al Basha contains mild buzz and can be enjoyed by beginners. 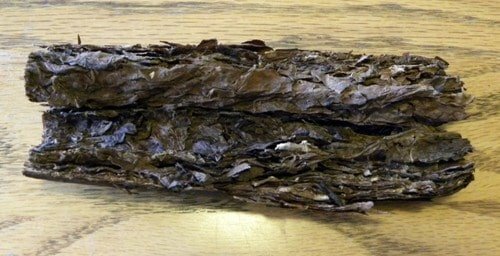 What is the Dark leaf tobacco? The dark leaf tobacco is simply one with a higher composition of nicotine. With 0.5% of nicotine composition, it has a very strong shisha essence and quite pungent in nature. This variety of tobacco is generally planted in the fertile lowlands. The leaves of the plant are either fire cured or air cured. They are mostly grown in northern Tennessee, Western Kentucky, and Virginia. Apart from hookah shisha, dark leaf tobacco has wide application in chewable tobaccos, cigars, moist snuff, and pipe tobacco blends. Traditionally, they remain unwashed and are treated with molasses. They last longer, however less resistance to heat. While it comes to packing the bowls with dark shisha, it should not be packed densely because if high nicotine density. NOTE: Due to the harsh flavor, black leaf shisha brands are not recommended for the starters. Rather, they should try out regular or blonde shisha and build tolerance before getting started with black leaf tobacco. Even moderate smokers would experience a headache and dizziness from smoking dark leaf tobacco. How different is dark leaf tobacco over the normal shisha? The best way to distinguish between dark and blonde leaf tobacco is to compare them to black and milk coffee. The normal or blonde-cut shisha uses the traditional Virginian flue-cured tobacco. Its leaf has a light brown complexion. Generally, honey is used as the binder which brings sweetness while smoking. As the color represents, the tobacco is washed and comprises of low to mild nicotine content. Normal/ Blonde Shisha brands: Starbuzz and Pure are among the bestseller and most preferred hookah shisha of the modern line. While talking about the roots of traditional hookah shisha, dark leaf tobacco is worth mentioning. Nakhlas’s Zaghloul flavor. Al Fakher’s Soft black flavor is regarded as the starting point for traditional dark leaf shisha. Desi Murli, Jurak, Qass and Salloum also contributes the dark line of shisha. They are regarded as the oldest dark leaf shisha tobacco in the market. Queuing up in the veteran’s list, Zaghloul is said to exist more than a century. Even today, seasoned smokers enjoy their age-old flavor during traditional occasions. Tangiers, the world renown brand showed up for the first time in 2006. This new entry variety of shisha made quite a controversy among the hookah enthusiasts. Although after a decade of its appearance in the market, there is nothing like Tangiers brand. They took years to master the right blend of original shisha flavor which gained an advantage over existing brands. They use molasses base just like other dark line varieties. However, they have much finer cut to their dark leaves and more juice. They are one of the kind which maintained dense smoke, strong buzz along with a diverse range of flavors. There isn’t any shisha like original Tangiers delivering the most noticeable dark leaf flavor without any unpleasantness in taste. To make their mark in the hookah community, some competent brands have made their own composition of shisha. It is not quite long that Starbuzz launched their Vintage line of tobacco that garnered a ton of appreciation by hookah lovers. Their makers say that the production took a long time for this modern of dark leaf shisha but it was worth it. Instead of the traditional molasses, Starbuzz preferred to use honey for the binder. They further loaded them with a multitude of sweet and fruity flavors. Out of expectation, they offer strong buzz and long-lasting flavors as compared to the most modern lines of dark leaf shisha. Following their footsteps, Alchemist and Trifecta both featured successfully with their own patented flavors. Both are them offer wider appreciation among seasoned smokers for its strong nicotine kick. The brand like Trifecta shisha did open a wide array of choices among the fanatics, especially with its Morning Glory. However, Alchemist was unable to impress as much as Trifecta and Starbuzz did. But selective flavors of Alchemist shisha did win the hearts of the smokers looking for a change in their taste. The reason Starbuzz vintage is popular? Starbuzz is undoubtedly the most popular brand on the market. They made a big hype about a new kind of line in shisha tobacco. For almost 3 years, they have been in discussion about the product and how it distinguishes from the original Starbuzz line. The vintage, however, garnered positive reviews but many seasoned smokers parted away from this new kind. They were claimed to possess not quite long lasting flavors and not as sweet as the original line of Starbuzz. However, the success came due to the reputation of its original line. Many experienced smokers found some of its flavors really good. Therefore, Vintage’s distinguishing features made the hookah fanatics keep visiting here more frequently. Delhi tea flavor is the best seller in this vintage line. NOTE: There is a hoax that Noir, Birquq, and Lucid falls in the dark shisha line. However, the fact is they are darkened by the blackstrap molasses. Washing shisha is all about treating finely graded tobacco leaf to get rid of the excess of nicotine and harsh tobacco taste. Doing so removes the coughing feeling due to the tobacco juices making contact with hot coals. You can repeat the washing process based on whatever amount of nicotine you require. When you are satisfied with the washing of your tobacco, just go and drain it out any method that you like. Mostly, the washing process involves as simple as boiling or soaking in the cold water. When the process is over, the soaked graded leaf is collected together and rinsed firmly to separate moisture. While doing so, you can apparently see dirty brownish water that came out of the leaf. That’s, in fact, the excess of nicotine, tar and another unpleasant crud that you usually smoke out at the cigarette tobacco. This makes the shisha much healthier, cleaner and pleasurable smoking shisha tobacco. Now this washed leaf will easily let your flavors seep in and deliver great taste. If you haven’t harvested the tobacco leaves by yourself, it’s recommended to give it a quick wash. This will remove harmful pesticide remains from the surface. Even if you’re dealing with the organic one, leaves are still contaminated with bird and insect feces and other dirt. What is the difference in nicotine content between washed and unwashed shisha? Unwashed shisha consists of about 10 times nicotine than that in washed shisha. The amount of nicotine in unwashed shisha is 0.5%. Whereas it varies in the case of washed shisha based on the intensity of washes (between 0.05% and 0.5%). Who is recommended to consume washed and unwashed shisha? Washed shisha is light and contains a lower volume of nicotine, thus beginners can easily get started with it. On the other hand, unwashed shisha is extremely pungent and carries more buzz due to high nicotine. Therefore only seasoned smokers are recommended. What are the most common methods to wash shisha tobacco? What are some of the bestseller brands in both washed and unwashed shisha? Unwashed shisha: Tangiers (Noir and Birquq), Nakhla, Romman, Al-Waha. What are the constituents of shisha tobacco? Tobacco leaves, Honey, Molasses, Glycerine (food grade) and flavor of the choice. Name of the shisha tobacco with least amount of tobacco. 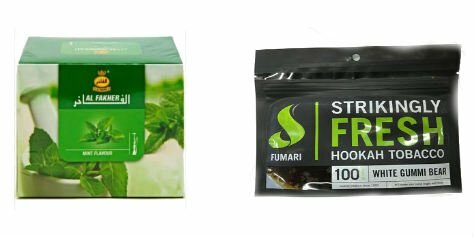 Starbuzz (Raspberry), Pure, Fumari, Al Fakher, Havana are quite popular among the shisha with the least amount of nicotine. Hi there! Such a nice post, you covered everything that I’ve looked for. Actually, never saw such a detailed guide on that topic, what would you recommend for a beginner like me washed or unwashed shisha and which brand to choose for a start?